Oil headed for a monthly gain as expectations that American sanctions on Iranian crude will tighten global markets outweighed the risk to demand from the ongoing US-China trade dispute. Brent futures in London were poised for their biggest monthly increase since April on signs that US penalties will severely constrict Iranian supplies. 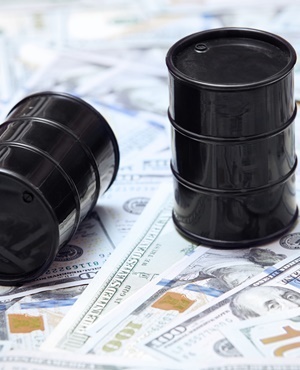 While US crude prices climbed above $70 a barrel in New York on Thursday for the first time since late July, they remained capped as a lack of pipelines slows the delivery of crude to refineries and export terminals on the coast. Oil has gained this month despite concerns that President Donald Trump’s clash with China and the European Union over trade tariffs could affect the global economy and ultimately demand for fuels. Fears about crude supply are taking precedence, as the US reimposes sanctions on Iran after Trump quit a nuclear deal with the country in May. Brent futures for October delivery, which expire on Friday, were at $77.16 a barrel on the ICE Futures Europe exchange, down 61 cents, at 11:46. The more-active November contract slipped 65c. Brent’s at a $7.37 premium to WTI, after closing at $7.63 on Wednesday, the widest gap since June. WTI for October delivery traded at $69.79 a barrel on the New York Mercantile Exchange, down 46 cents. The contract is rebounding this month after a 7.3% drop front-month futures in July. Total volume traded was about 35% below the 100-day average. US prices have been supported by a drop in crude inventories as the summer driving season pushes up demand for gasoline and optimism over the overhaul of the North American Free Trade Agreement. Still, they’ve lagged behind Brent as stockpiles at the key storage hub in Cushing, Oklahoma, have risen for three straight weeks. Brent, a more globally-traded benchmark than WTI, has been more vulnerable to anxieties over Iran. Fears about the loss of Iranian supplies are changing the price structure of the Brent crude market. Brent futures for November settlement are 27c a barrel higher than those for December. The pattern, known as backwardation, where near-term prices trade higher than later contracts, typically reflects signs of supply scarcity and is at the highest since July. • New regulations to curb pollution from the world’s shipping fleet could lift crude prices by $4 a barrel when the measures come into effect in 2020, according to a Bloomberg survey of 13 oil industry analysts. • Iran will halt Middle East oil exports if it’s not allowed to ship its crude through the Strait of Hormuz, according to a top military official. • December futures on the Shanghai International Energy exchange added 0.2% to 524 yuan a barrel. Prices are on course for a 2.1% advance this month. • The September contract, which expires on Friday, has risen almost 12% since its debut on March 26.